Release Date:10/28/2016;Notes:Considered the first electro-acoustic/electronic album made in Brazil, Mental Experience presents the first vinyl reissue of Jorge Antunes's Música Eletrônica, originally released in 1975. During the early '60s, Antunes built his own components for making electronic music: theremin, sawtooth oscillator, a spring-reverb device, a frequency filter. 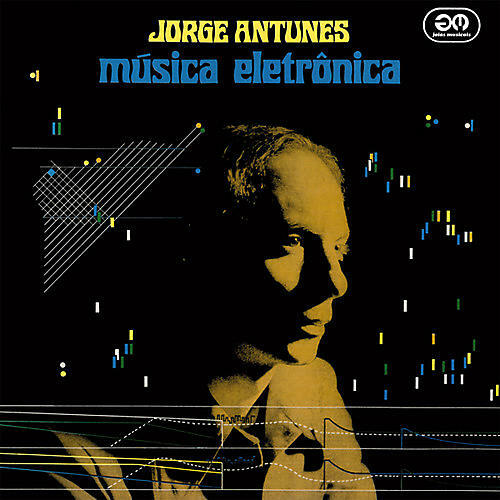 The works on Música Eletrônica were recorded at Antunes's home studio and at the Electronic Music Laboratory of the Institute Torcuato Di Tella, in Buenos Aires, Argentina. On "Valsa Sideral" (1962), Antunes uses artificial echo and reverberation by feedback between the recording heads, creating the first Brazilian work consisting only of electronic tones. "Auto-Retrato Sobre Paisaje Porteño" (1969/1970) is an amazing piece of early turntablism on which Antunes "samples" an old tango vinyl record, using it as a loop and for sound effects/manipulation, and mixes it with electronic sound effects and cut voice manipulation/sound poetry. The version included here features the audio collage which Antunes created to criticize the military regimes from Brazil and Argentine. This version wasn't used on the original LP to avoid any problems with censorship. "Cinta Cita" (1969) was the first piece recorded by Antunes at a professional studio. Pure electronic sounds and pulsating rhythms use filtered noise and synthetic sounds created by additive synthesis. "Contrapunctus Contra Contrapunctus" (1962) was created using tape splicing, micro-assemblies and tape manipulation. "Historia de un Pueblo por Nacer ou Carta Abierta a Vassili Vassilikos y a todos los Pesimistas" (1970) with it's sinusoidal sounds and low frequencies, was inspired by the plot of the novel and film Z (1969) by Vassili Vassilikos. In the original audio of this work, Antunes used a quotation from the International Communist anthem. To avoid censorship problems, he cut that passage for inclusion on the original LP. The uncensored, original version is presented here. In 1970, Antunes did research at the Institute of Sonology at the University of Utrecht with a specialization in Computer Music (working with the Electrologia X-8 computer). During the '70s he worked under the guidance of Pierre Schaeffer and Iannis Xenakis amongst others. Antunes is presently the Director of the Electroacoustic Music Studio of the University of Brasilia and President of the Brazilian Society for Electroacoustic Music. Included in this LP is an insert with liner notes and photos. Master tape sound. Mandatory for anyone into Pierre Henry, Iannis Xenakis, Pierre Schaeffer, Louis & Bebe Baron, Ihlan Mimaroglu, Morton Subotnick, Stockhausen.